Ashley always loved vacationing on the Outer Banks with her family every summer while growing up. 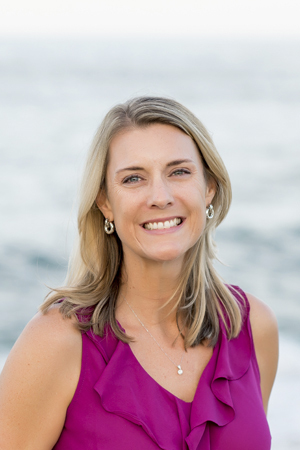 After earning her Bachelor’s of Business Administration degree with a concentration in Marketing Management at Radford University in 1997, Ashley moved directly to the Outer Banks. Her first job as Group Sales Assistant at the Sanderling Inn Resort in Duck gave her experience in corporate retreat sales and event planning. Ashley then moved into real estate as a Sales Coordinator for 2 years, learning the business from the clerical side which she believes gave her a great jumpstart into real estate sales. After obtaining her NC Real Estate license, Ashley began her career as a REALTOR® at Village Realty in Nags Head during the summer of 2000. From that point forward, Ashley earned her NC Broker License, the CRS designation (Certified Residential Specialist), the ABR designation (Accredited Buyer’s Representative), the SFR designation (Short Sales & Foreclosure Resource) and the RRS designation (Residential Resort Specialist). Over the years with Village Realty, she has earned numerous year-end sales awards along with agent of the month awards. Ashley has been helping buyers and sellers covering all areas of the Outer Banks for 18+ years and has built a great business clientele. Much of her business comes from past clients who’ve enjoyed working with her and have placed one of their biggest assets in her hands. In 2015, Ashley teamed up with fellow associate broker, Jessica Evans. Since then, the Massey|Evans Team has proven to be the right fit for their past and new clients alike. Their buyers and sellers have appreciated their prompt service and everyday availability. Working on a team has proven to be beneficial for Ashley in that each team member has different strengths, offering a stronger full service real estate experience for her clients. Outside of real estate, Ashley lives on the water with her husband Mark and son Jack. She enjoys nothing more than a sunny day on the beach or on the boat. She also spends any spare time painting with oils and acrylics with her artist group and upcycling furniture. She is grateful for her chosen career and has enjoyed helping families buy and sell real estate on the Outer Banks for more than 18 years.